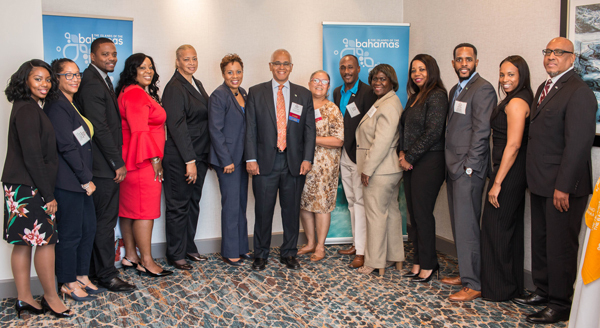 FORT LAUDERDALE, FL - July 29th, 2018 – “The Bahamas is a vacation paradise, that’s well known, but the message I’d like each of you to take away from my short talk this morning is that when it comes to investing, “It’s Better In The Bahamas,” The Honourable Dionisio D’Aguilar, Minister of Tourism and Aviation for The Bahamas, told attendees at a luncheon during the recent 22nd Annual International African American Hotel Ownership and Investment Summit and Trade Show. 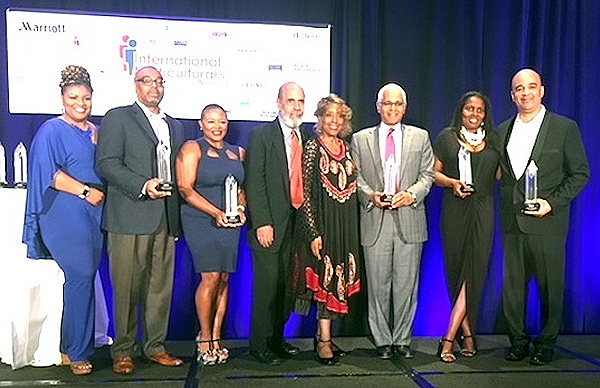 The Minister, who was presented with an Apex award for Distinguished Service at the closing banquet of the summit, provided his remarks at the Summits Annual Scholarship Award’s luncheon, sponsored by the Marriott, at the Marriott’s Biscayne Bay Hotel, Miami, Florida. 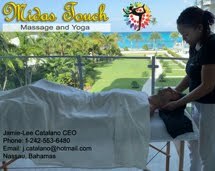 He shared that in the last 12 months, The Bahamas have engaged in an overhaul of procedures and protocols to create an environment where the ease of doing business in The Bahamas is historically at its optimum best. 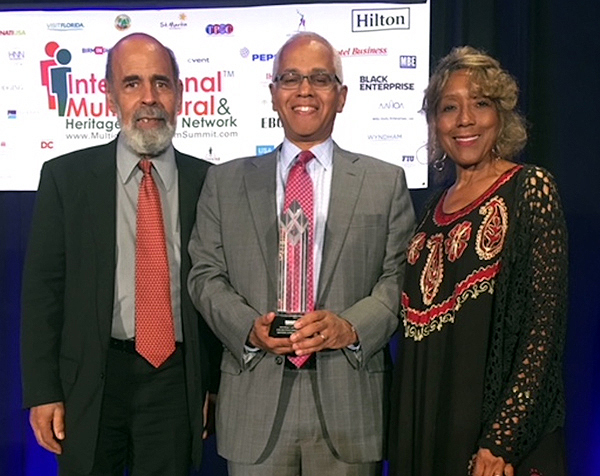 Apex Award Recipients at 22nd Annual Int'l African American Hotel Ownership & Investment Summit & Trade Show L-R - PJ Douglas Sands, Industry Marketing, NABHOOD; Apex recipient Marcus Margerum, Atlanta Convention and Visitors Bureau; recipient, Marlinda Henry, President, National Coalition of Black Meeting Planners; Solomon and Gloria Herbert, Black Meetings and Tourism Magazine, hosts of the Awards Banquet; Dionisio D'Aguilar, Bahamas Minister of Tourism and Aviation; Kimberly Munroe, of the Lancaster Convention and Visitor's Bureau, who received the award on behalf of Angela Clayborne; recipient Bevan Springer, award winning journalist and President and CEO of Marketplace Excellence. Minister D’Aguilar disclosed that in the last quarter of 2017 the Government of The Bahamas enacted the Commercial Enterprises Act, “which is a package of legislation specifically designed to improve the ease of doing business and attract new and diverse businesses. Implementation of the policies attached to this legislation will streamline and fast-track the start-up businesses in a number of areas,” he provided. Now in its 22nd year, the annual summit is designed to educate attendees on becoming a hotel owner or investor, share minority investment trends, explore supplier opportunities, learn how to market to minorities and discuss diversity issues affecting the industry. The summit features a number of executive level professionals from the world’s leading hotel brands who share a wealth of information needed to succeed in the industry. 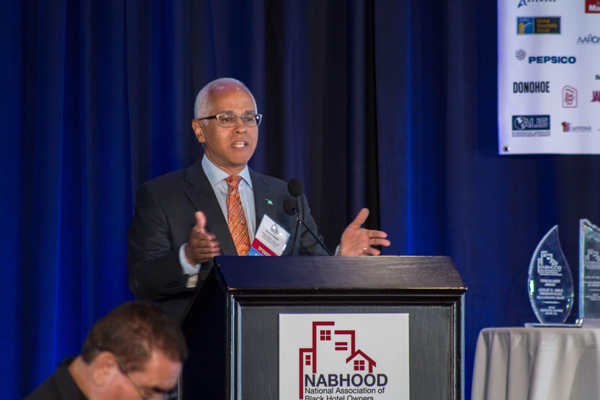 The declared goal of NABHOOD is to increase the number of African-Americans developing, managing, operating and owning hotels; increase vendor opportunities & executive level jobs for minorities, thereby creating wealth within the African-American community.